a year ago, i shared how my team had been invited to conduct a presentation during the Humanities Education Research Seminar, on our work on open-source environmental sensors (Maker Motes). 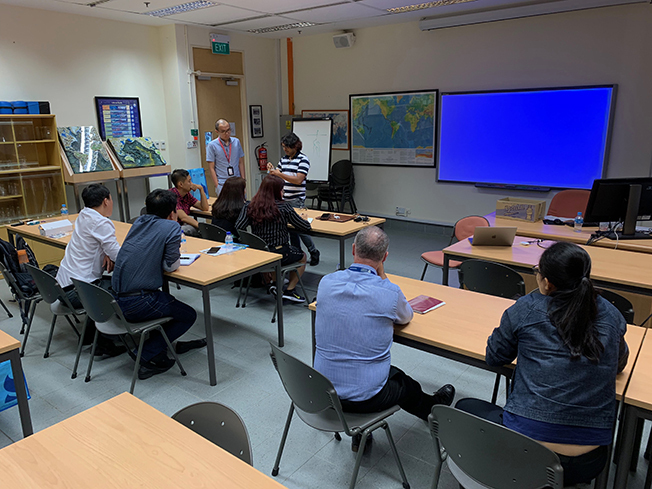 yesterday, thanks to an invitation from Prof Kim Irvine of the Humanities & Social Studies Education Academic Group of the National Institute of Education, my team and i had the opportunity to interact with a visiting delegation of geographers from a private university in Vietnam, namely the Nguyen Tat Thanh University. with gratitude to Prof Irvine and Dr Josh Ho, we were able to spend two hours exchanging ideas with the visitors, primarily regarding our work with Maker Motes.